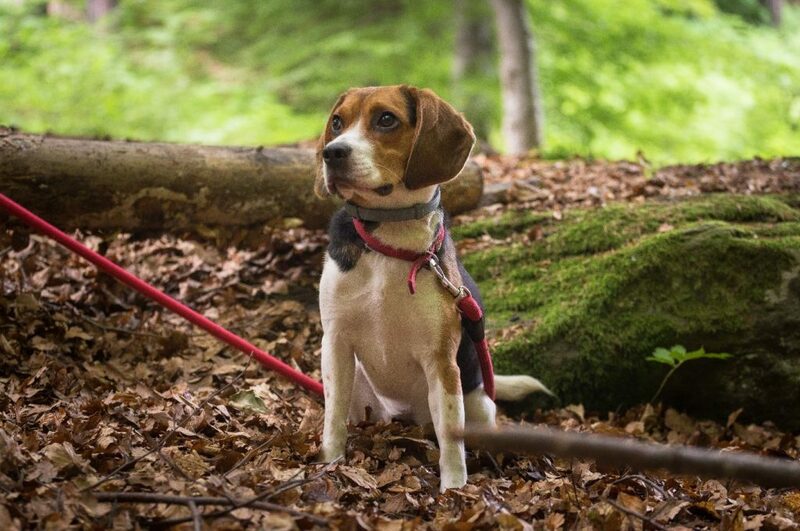 Sean Whiting, Director at outdoor and equestrian specialists Houghton Country, shares his tips for taking your dog on the perfect walking holiday in a safe, responsible way. Walking holidays are a great option for families that don’t want to leave their dogs at home: everyone gets plenty of exercises, fresh air, and the chance to make unforgettable memories in the UK’s beautiful countryside. Here’s my advice for what you’ll need to consider before setting off on a walking holiday with your dog, including accommodation, travel, and how to stay safe in the country. There’s plenty of dog-friendly accommodation in the UK if you know where to look. From B&B rooms to whole cottages and barns, there’s a property to suit every size of party and length of stay. Even if they don’t advertise it, some places will let you bring your pooch if they’re well behaved — just ask before you book. Look up and make a list of dog-friendly pubs and restaurants in the area you’ll be visiting so you have plenty of opportunities to rest on long walks. Many pubs in the country are likely to welcome dogs if they don’t serve food or will have dog-friendly areas away from food service, but it’s always good to be prepared and have a few places in mind in case you get stuck. Just like the rest of your family, dogs have their own travel essentials that you should remember to include in your suitcase. Pack for every eventuality: your dog may need warm coats and waterproofs in cold, rainy, or snowy weather, or towels to dry off if they’ll be going for a swim to keep cool on sunny days. The countryside is also home to wild animals, plants, terrains, and agricultural machinery that have the potential to cause harm to you and your dog. It’s worth putting together a dog-friendly first aid kit and keeping it with you throughout your trip, just in case, including dressings and treatments for minor injuries. On every walk, remember to take plenty of snacks as well as a collapsible water bowl so that your dog can stay hydrated. Take a few different leads and harnesses in case they get muddy or damaged and pack some reflective or hi-vis accessories to ensure you can be seen in low light conditions. These will keep you both safe from traffic and allow you to keep track of your dog if you take them off their lead in open areas. The easiest way to travel to your walking holiday destination is usually by car. If your dog has been for regular drives with you then your car should be a familiar environment and, as you are in control of the vehicle, you can always pull over if necessary. To make sure you’re following the law when travelling with you your dog, check the Dog’s Trust‘s advice keeping safe on the road. Dogs can travel in the boot area with a cage, crate, or guard blocking access to the passenger seats, or consider putting them in the back seat if they’re a bit nervous. To make sure they can’t startle you while driving or get hurt during sudden stops, dogs in the back seat must be secured with a harness that attaches to the seatbelt. Take regular breaks, keep an eye on the temperature, and have a supply of fresh water to hand to minimise distress and travel sickness. If your dog is a nervous passenger, distract them by keeping toys in the car or talking to them. If you are planning on taking a train to your holiday destination you are permitted to take up to two dogs free of charge, provided they don’t take up any seats and are kept on leads or in a carrier. Buses and taxis are slightly more complicated as the rules will depend on the individual operator. While most may be happy to take dogs, you might be asked to pay a fee so be sure to do your research before you book to prevent unexpected charges. With your accommodation, travel, and packing organised, you’re now ready for your walking holiday. Once you’re there, follow the Countryside Code — it protects you, your dog, and the environment from harm. Keep your dog under close control in farmland and recreation areas, and always look for signs on the path that indicate whether your dog must be kept on a lead. Leave gates as you found them and ensure there’s no trace of your visit. Treat wrappers and plastic water bottles can take decades to decompose if left behind, which can affect wildlife, and dog mess can cause serious infections if not disposed of in a designated bin. It’s important to keep a close eye on your dog, especially in farmland, to make sure they’re not eating something they shouldn’t. Tomatoes and potatoes, for example, are commonly grown crops that are toxic to dogs so it’s best to avoid vegetable plots and crop fields. Many wildflowers, like autumn crocus and daffodils, can also make them seriously ill if ingested. Remain vigilant and stick to signposted footpaths to prevent the risk of poisoning your dog. With these tips, you can enjoy a walking holiday with your dog by making the most of what our beautiful countryside has to offer in a safe and responsible way.